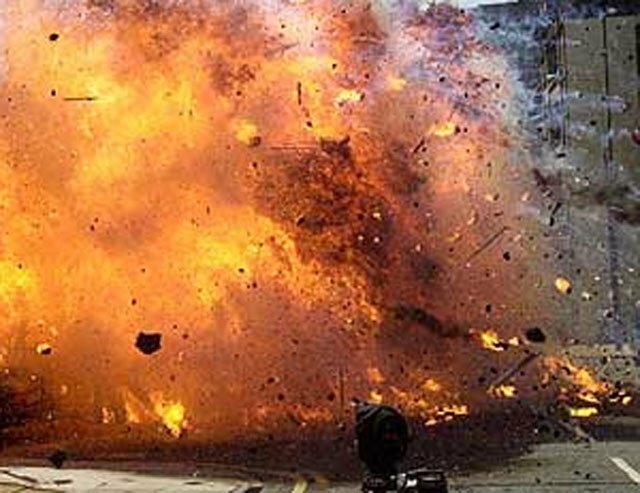 QUETTA, May 19 (APP): A constable of Balochistan Constabulary was killed and four others were injured in a remote-controlled bomb blast in the Eastern Bypass area here on Thursday. Police sources said that unidentified men planted a remote-controlled bomb in Bhosa Mandi Eastern Bypass area of the provincial capital.”The bomb exploded when an official van of Balochistan Constabulary was passing by, killing one constable on the spot and injuring four others,” they said. The rescue teams rushed to the scene and shifted the dead and injured to hospital.According to doctors, the condition of one injured was critical.